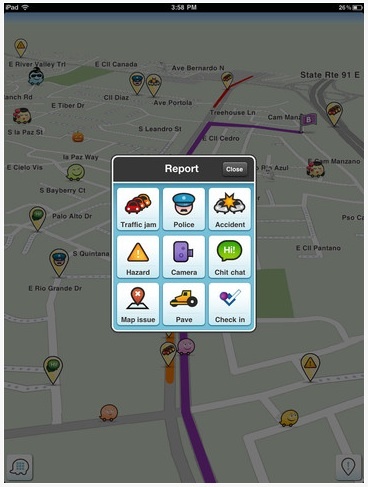 For over a year now, many of us in the office have been using Waze ‘GPS’ app on our iPhones. A recent update showed that the app is now Universal so we can run it on our iPads too! If your new to Waze, it is a turn by turn navigation app. With an interesting twist… the location of issues is done socially. When someone sees a traffic slowness, accident or other items of concern, they will tap a drop pin and mention the issue. Now, it will appear for you so you can decide to keep moving forward and choose another path. If you decide on taking another path, Waze will recommend an option with information about the path taking more or less time. 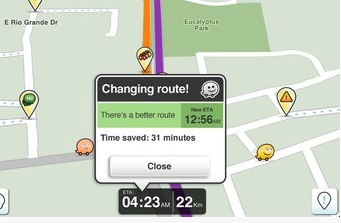 Of course, to make Waze really work for everyone, you have to add your comments on traffic too. Many of us in the office take a near same path in so we are pretty active. There are a lot of others on the same road so it isn’t just up to our friends to share… it’s a social app, everyone is ‘our friends’. If you don’t want to know what everyone else is saying outside of a select group, you can ‘wall in’ comments. 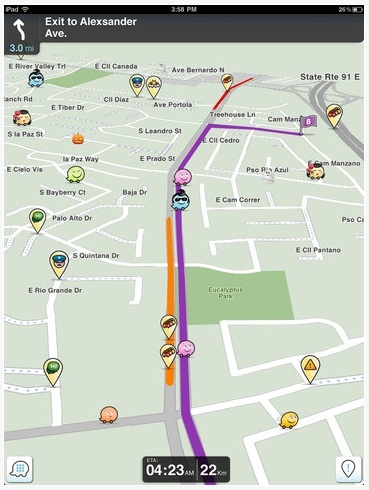 There is links from Waze GPS to Foursquare, Twitter and Facebook too if you really want the extra social share. What is missing in the market right now is iPad car mounts. There is headrest iPad holders, but that only works if you have backseat drivers along. Griffin Technology does offer a variety of in car power/chargers. We’ll keep our eyes open for any great options to hold the iPad upright for easy in car viewing… GPS only folks… no texting and driving please! !